The Las Vegas Police Protective Association President said more can be done to stiffen penalties for criminals who target and kill police after 4 officers were hurt in a shootout with suspects in Houston. President of the LVPPA, Steve Grammas, said the danger is very real. “It’s not getting better,” said Grammas. “I say this multiple times in multiple interviews, the suspects out there are getting more bold and they don’t care about the consequences, the circumstances or what’s gonna happen to a family in the future,” added Grammas. Just since Saturday, Las Vegas Police officers have been involved in two separate shootings. On Monday, Las Vegas Police released body-worn camera video from the first police involved shooting of the year in their jurisdiction. 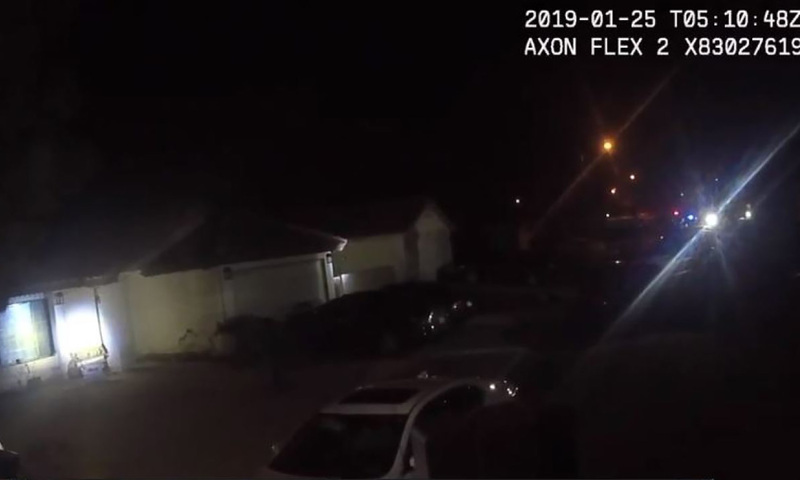 The video shows an attempted murder suspect and known felon firing multiple shots at SWAT officers. “The suspect was totally committed, wanted to do violence against the officers and luckily we came out on top of that one,” said Grammas. The second police involved shooting happened on Sunday when a suspect attempted to break into homes while people were inside near Valley View and Warm Springs, according to police. “These officers still go everyday, knowing what they’re up against and knowing their lives are on the line and they still go do it and some people just don’t appreciate it,” said Grammas. About 1,400 miles away in Houston, 4 officers were shot after serving a search warrant on a reported drug operation. One officer had to be sent to the hospital by helicopter. “We are sick and tired of having targets on our back, we are sick and tired of having dirt bags trying to take our lives,” said Joe Grimaldi, with the Houston Police Officers Union. “We need to have stiffer penalties on people committing crime, there’s no doubt about it,” said Grammas.